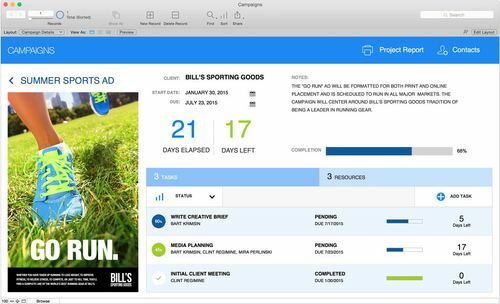 FileMaker has announced a new version of its development platform that speeds creation of custom solutions that run on iPad, iPhone, Windows, Mac and the web. FileMaker 14 brings point-and-click simplicity to automating business processes, delivering desktop-style application functionality to mobile web browsers and providing productive, engaging experiences on desktops, iOS devices and mobile web browsers. The announcement coincides with the 30th anniversary of FileMaker software. 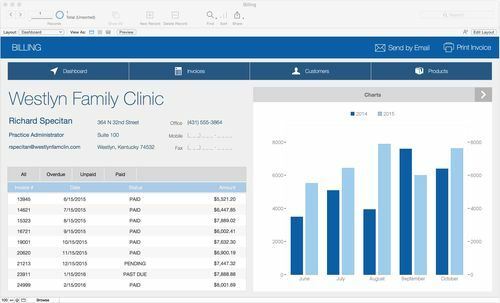 FileMaker was the brainchild of a bootstrapped startup founded in Massachusetts by four entrepreneurs intent on creating easy-to-use database software. The new FileMaker 14 Platform provides the most complete and flexible experience across iPad, iPhone, Windows, Mac and the web. Get new features that speed design and development time, provide more control of iPad and iPhone solutions, and give you access to your data in a mobile browser. FileMaker 14 provides a complete experience for developers, enabling them to unleash their creativity and ingenuity. A Script Workspace speeds automation of common business processes, such as assigning a new task to the employee with the most availability, reordering inventory when stock is low or creating an invoice during a customer meeting. The Script Workspace consolidates the creation, editing and viewing of scripts and calculations, all in one streamlined workspace. Auto-complete, favorites, in-line editing, shortcuts, script step descriptions with in-line Help, automated command-lookup and other features speed development. Even nonprogrammers can use scripting to create custom solutions, with FileMaker’s point-and-click simplicity and contextual guidance. A redesigned FileMaker WebDirect makes it easy to deliver desktop-style interactivity to mobile browsers on tablets. FileMaker WebDirect now supports FileMaker solutions running on the latest tablets. Business users can deliver a next-generation mobile browser experience. The redesigned toolbar automatically adapts to the screen size of users’ browsers on desktops or tablets, with larger tap targets, slide-in menus that dynamically optimize screen real estate, and menus that collapse and expand into logical groups as the screen size changes or the user rotates the device. A Launch Center brings an app-like interface with big, bold icons (no more dialog boxes and pull-down menus) that allow users to visually organize all solutions at a glance. Users can choose from 29 pre-built icons or design custom icons to give solutions a personalized look. The Launch Center works across the entire FileMaker 14 Platform, providing a consistent experience on Windows and Mac with FileMaker Pro, on iPad and iPhone with FileMaker Go, and in a browser with FileMaker WebDirect. An enhanced iOS experience for users, via new scripts that provide more control over how solutions look and run on iPad and iPhone. A newly redesigned iOS 8-style interface in FileMaker Go 14 (a free business app available on the App Store) provides a clean look and consistent user experience. Developers can easily make solutions full screen by using scripts or swiping to hide the user interface. They can lock in portrait or landscape views using the new set-screen orientation, display helpful information when capturing signatures, enable touch keyboards, enable richer text formatting, and use new video and audio playback controls to create self-paced training applications and other innovative solutions. 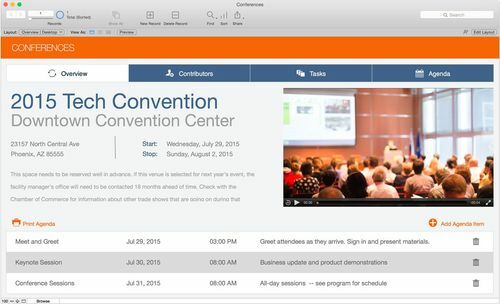 Many new features for FileMaker developers, power users and administrators. 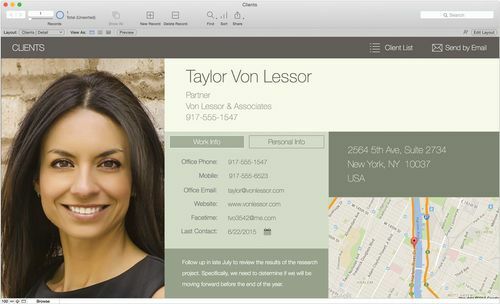 FileMaker WebDirect is now up to 25 percent faster when opening most web-optimized layouts. It also has doubled the number of supported concurrent connections (from 50 to 100). Automatic reconnect from FileMaker Pro 14 solutions to FileMaker Server 14 helps users recover quickly from a lost or unreliable network connection. Security enhancements for FileMaker Server Admin Console protect data and solutions through stronger password controls. 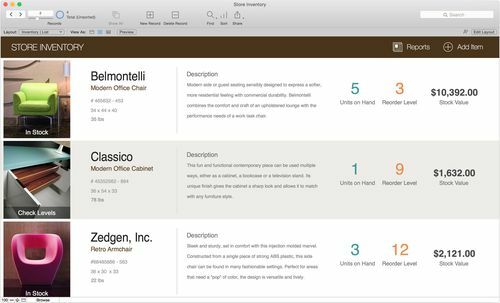 The new standby server option in FileMaker Server 14 gives experienced administrators higher availability of business data. that run on iPad, iPhone, Windows, Mac, and the web. Who uses it: Individuals, businesses, nonprofit organizations, educational institutions, and departmental teams. What is it used for: To create, manage, and share information with your team. Create custom solutions for iPad, iPhone, Windows, Mac, and the web. Run your solutions on Windows and Mac computers. Provide access for up to 5 other FileMaker Pro or FileMaker Go users. 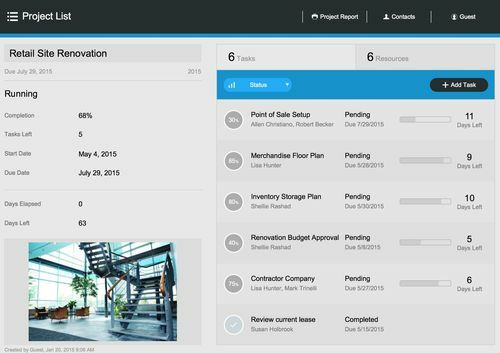 Build your own solution or use one of the many built-in Starter Solutions to manage contacts, inventory, projects, and more. Who uses it: People who want more tools to help them design and maintain customized solutions for themselves or their team. What it is used for: To build more powerful and customized solutions faster with ease. Design and develop solutions more quickly with Custom Menus, Custom Functions, and more. Modify and maintain solutions with ease using the advanced Database Design Report and Multiple Table Import. What is it: FileMaker Server 14 is fast, reliable server software. What does it do: To securely share information with groups of FileMaker Pro and FileMaker Go users and to extend your solutions to the web. Easy installation and 24/7 availability — Basic installations take just 20 minutes or less. Get reliable, anytime access to your data. Industry-standard security — Authenticate via Active Directory/Open Directory, use SSL encryption for secure data transfer, and secure data hosted on FileMaker Server using AES 256-bit encryption. Web technology — Use FileMaker WebDirect to run interactive solutions in a web browser. Or use Custom Web Publishing to create custom, data-driven websites with PHP or XML. If you purchased FileMaker Pro 13 or FileMaker Pro 13 Advanced between 12th April 2015 and 27th May 2015, you are eligible to receive the corresponding upgrade version at no charge!